25 March 2014, Addis Ababa – Today, the Government of Ethiopia together with the United Nations in Ethiopia launched a situation analysis report entitled: “በኢትዮጵያ በወንዶችና ሴቶች ልጆች ላይ መዕዋለ ንዋይ ማፍሰስ: ድሮ ዛሬ እና ወደፊት” that translates into - “Investing in Boys and Girls: Past, Present and Future.’’ In addition, presentation was made on the Further Analysis of Ethiopian Demographic and Health Survey (EDHS) which was made possible through the partnership of MoFED and UNICEF with FMoH, EPHI, CSA, MoWCYA, Irish Aid, USAID and ICF International. 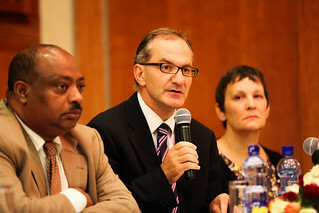 Present on the occasion held at the Hilton were Ato Admasu Nebebe, Director of UN Agencies and Regional Economic Cooperation Directorate MoFED, Dr. Peter Salama, UNICEF Representative to Ethiopia, Mrs. Jeanne Rideout, Health HIV/AIDS Population and Nutrition (HAPN) Office Deputy Chief USAID, other invited dignitaries, donors, partners, members of civil society and the media. The SitAn report states opportunities and challenges that children face on the road towards the realization of their rights. It also examines children’s issues and makes recommendations for steps the Government and other stakeholders need to take by highlighting the progress that has been made toward this endeavour but also emphasizing the room for improvement. In order to stimulate more dialogue on action points included in the report, the analysis are being made available through different media outlets such as TV, Radio and Web. Some of the significant actions drawn from the SitAn include, the current submission of the social protection policy to the parliament. Consequently, regional governments are initiating the piloting of some components of social protection such as the piloting of community care coalitions (CCCs) of Tigray in Oromia and SNNP. Another critical gain from the SitAn is the establishment of vital registration system that is already underway beginning 2013 following the endorsement of the birth registration proclamation in 2012. “Communities have to own the solutions and be a part of the actions that keeps children healthy, well-nourished and in school,” said Dr. Peter Salama. “Having the report on children and women available in Amharic will equip everyone with clear and understandable information to address the rights of children,” he added. 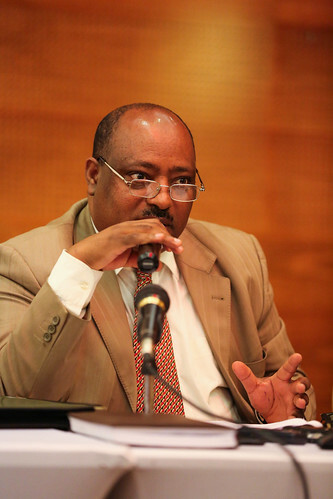 The Further Analysis of the Ethiopian Demographic Health Survey (EDHS) on the five issues of; multi-dimensional child poverty, women empowerment, child mortality, unmet need for family planning and fertility will contribute to new evidence to update the EDHS report by the end of 2015 – the end period for both Millennium Development Goals and the Growth and Transformation Plan. “We must all commit to utilise the information to support evidence based decision making, sharpen the focus of our interventions to meet national and global commitments, said Mrs. Rideout from USAID. Moreover, the production of the regional situation analysis of girls and boys is taking place in 11 regions with the aim of stimulating even more specific and relevant dialogue on the situation of girls and boys in the regions. These regional situation analysis will be the basis for assessing the current situation of children and knowing the relevant actions that needs to be taken for fulfilling the rights of children and thereby boosting their capacity to create a socially and economically developed Ethiopia. As the end of the GTP period approaches, more and more information through research needs to be available on the progress of girls and boys in order to revisit the required action points for the realization of children’s rights. 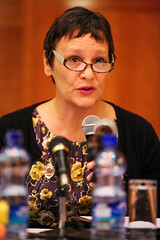 The English version of the situation analysis, had already been launched in 2012. On the occasion, a documentary film entitled: “Working City Streets at Eleven” on the topic of child labor was premiered based on the situation analysis (SitAn).